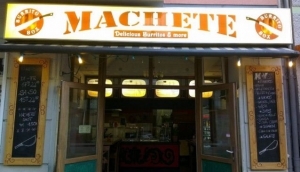 Mexican cuisine is not terribly abundant around Berlin. Not as popular as Asian, Italian or Turkish cuisines, you can none the less find a few places around town that are serving some great, authentic Mexican cuisine. OK, sure, there are a lot of restaurants around that have nachos on the menu, but this isn't nearly enough to qualify them for the My Destination Berlin seal of approval. In our Mexican Restaurants listings you will only find the very best eateries in Berlin serving up delicious tacos, enchiladas, burritos and fajitas. Mexican cuisine is known for its use of beans, rice, corn, and of course, chill. Don't be scared if hot and spicy isn't your cup of tea though, there are also a number of menu items who prefer not to sweat during a meal.